Last year, a customer made a special request for stretch breeches. We really liked the idea of pants without an inseam. After looking at many breeches in specialized stores, we realized customers would have a hard time finding the right fabric for them. We decided to keep the idea of a no-inseam pants, and took it to the next level. We used lycra and as soon as I put on the first prototype last summer, we knew we were on the right track! A few pairs later, we came up with the back pocket idea. A wonderful, magical pocket that keeps your phone (of your favorite little music machine) in place. No bouncing. I even tried with a key. It didn't move around. What makes this pattern so special is the funky seaming that allows you to play with color blocking, totally transforming the style every time. We included a biker short version that has a thigh band, which stays in place better than the usual hem. We hope those of you who were looking for expensive-looking running tights will be happy that you can now make them yourselves without breaking the bank. Don't throw away your fabric scraps! 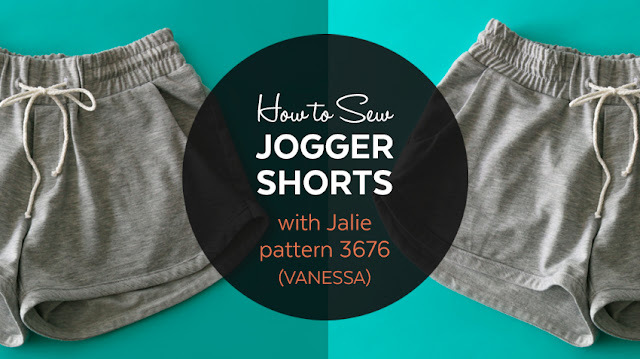 You really don't need much fabric to make mini leggings for your little ones! I am in love!!!! Out of all the patterns for workout leggings I've bought this is the one that is exactly what I've been looking for. These are fantastic. Love the fun seaming - so many possibilities! These are fantastic! Love the fun seaming - so many possibilities! Wow. This pattern is going to be in my pattern stash asap. This is a prefectly drafted legging pattern. I think that Nike will miss me as customers. I will start sewing my own leggings now !! These are delicious! I have the perfect spandex prints & solids already sitting in my stash waiting for the release of this pattern!!! I really like the waistband, the piecing here is really interesting and flattering. Just stumbled across this site and let me tell you, Walmart, nike, Under Armour and all those high priced athletics clothes stores will miss my money when I start making my own gym clothes! I want to try this pattern to make horseback riding tights! The seams are perfect for it! I am so excited to have found this pattern. I will be making jodhpurs as soon as I figure out what fabric will stand up to the roughout leather on my western saddle! Hi, do you have compression tights for men/boys?